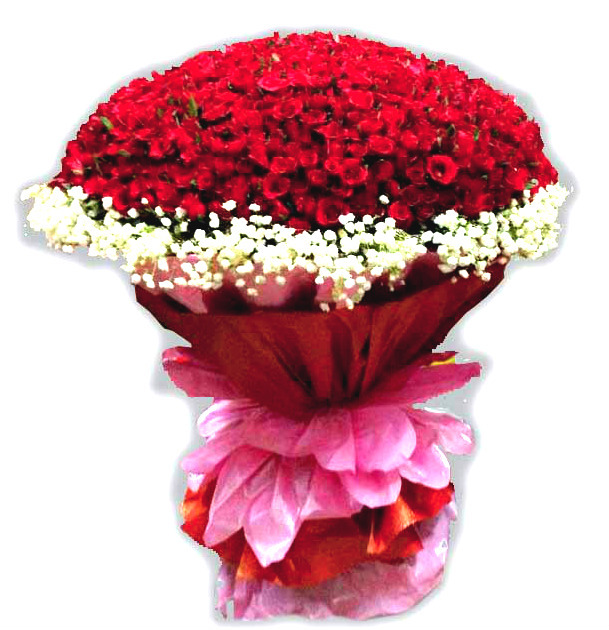 365 red roses bouquet, delivery in Delhi & NCR to show the warmth of your feelings but the sheer size of the bouquet is sure to she is always remembered, every day of the year Some people are special throughout the year, they manage to bring a smile on your face every day even without doing anything. Why not let them know how much they mean sweep anyone off their feet. What if you aren't here, tell your special one that to you? What better means to do this than flowers? The 365 Days Flowers bouquet from our collection consists of 365 red roses and is decorated with paper. Not only is the red colour enough. Have a Question about 365 Days Flowers Product?